Last year, Facebook launched Instagram Stories ads allowing advertisers to create engaging ads for people that also drive business results. With over 300 million people using Facebook Stories and Messenger Stories every day, the social network has now announced the launch of Facebook Stories ads in Canada and around the world. 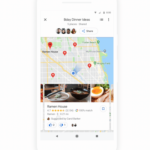 Advertisers can now include Facebook Stories as an additional placement to News Feed or Instagram Stories ad campaigns, and will soon be able to extend the reach of their stories ad campaigns to Messenger too. Every objective that’s currently available for Instagram Stories ads is also supported by Facebook Stories Ads, including reach, brand awareness, video views, app install, conversion, traffic and lead generation. Facebook’s full suite of targeting and measurement capabilities is also available for Facebook Stories Ads across platforms. Advertising in stories has proven to drive valuable business outcomes. In the Ipsos survey, 62% of people said they became more interested in a brand or product after seeing it in a story. And brands testing Facebook Stories ads are already seeing results. 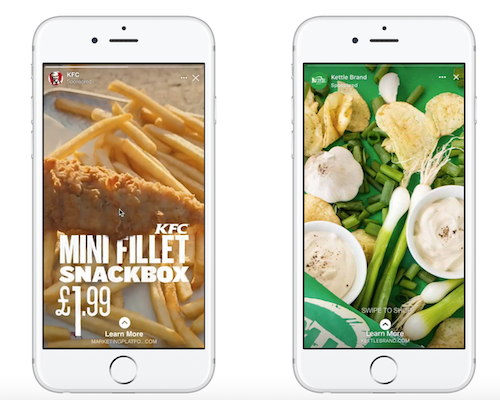 iHeartRadio, Kettle Chips, and KFC are among the advertisers who have seen a brand lift from their Facebook Stories ad campaigns. You can get more information about ads in stories on the Facebook Business site.